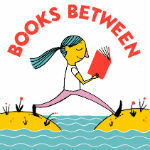 Hi and welcome to Books Between - a podcast for teachers, librarians, parents, and anyone who loves middle grade books! I believe in the power of stories to lift us up and help us discover who we really are. My goal is to help you connect kids with those incredible books and share inspiring conversations with the authors and educators who make that magic happen. I am your host, Corrina Allen - a mom of two preteen girls, a 5th grade teacher in Central New York, and really, really glad that September is over. I always feel like, for educators, September is a little bit like childbirth and having a newborn. Somehow you forget the utter exhaustion and work and lack of sleep every time. And instead you focus on the fresh start! Getting the room set up! Getting to know new personalities and a chance to get right THIS time what you you struggled with last time. And you forget that it took you MONTHS to get them into a decent schedule. And that the first weeks are just…. triage. So… in solidarity with all the exhausted and overworked teachers and parents out there - I see you. I feel you. I AM you. I went to bed. And if you know me at ALL - you know how hard this is for me. I am a night owl. I am most inspired between 9pm and 1am. But when I have to get up for work at 5:15 - it was killing me. Probably literally. I cut myself some slack. I DID NOT have my classroom “picture ready” on the first day of school. For the last few years, I have decorated my door with all the books I’ve read over the summer with favorite quotes. Nope - not this year. I just couldn’t pull it off. And that was…. honestly disappointing, but I think we need to give ourselves some grace with that stuff. I think we internalize all those Pinterest/Instagram ideas of what an “ideal” teacher and classroom should be and we give ourselves crap when we fall short of that imagined perfection. When in reality - NO one has it all together. Not the “education thought leader” with hundreds of thousands of followers, not the educator with the inspiring YouTube videos, not the teacher with that amazing new book out - NONE of them are living up to what we’re all “supposed to” be doing. Something is falling through the cracks. And I find the ones who admit that are really the ones worth listening to. So, it is now October. I’m more rested and sooo ready to dive back into things - including bringing you some fantastic interviews this fall! This is episode #60 and Today I’m sharing a conversation I had this past summer with Kate DiCamillo about her latest novel, coming out tomorrow - Louisiana’s Way Home! Also - #MGBooktober is BACK!! The MGBookVillage is hosting a month of awesome middle grade related book prompts. We hope that you and your students will join in the fun. Just use #MGBooktober to post your responses and to find everyone else’s pics. And finally - remember to set yourself a reminder for Monday nights at 9pm EST so you don’t miss the #MGBookChat Twitter chat! This month some of the topics are: Teachers as Readers, Middle Grade Spooktacular (Why Scary Stories Matter), Building Vocabulary with Middle Grade Books, and Taboo Roll Call: Does anything go in Middle Grade now? Those all sound amazing - so see you Monday nights! Our special guest this week is Kate DiCamillo - author of Because of Winn-Dixie, Tiger Rising, Flora & Ulysses, The Tale of Despereaux, among so many other incredible books. I got the opportunity to chat with her this summer about Louisiana’s Way Home - the follow-up to her 2016 novel, Raymie Nightingale. We talk about why she decided to write a sequel, Pinocchio, bologna sandwiches, and of course her latest novel - Louisiana’s Way Home. Your latest novel, Louisiana’s Way Home, is coming out this October. I had the opportunity to read an ARC and simply fell in love this story. It has so much depth and so much clarity all at the same time. This is the first time you’ve revisited the world of a previous novel. What was your journey to decide that you wanted to go further into Louisiana’s story? My daughter would like to know - do you like bologna sandwiches? You are known for your vibrant character names but in this book - you have three characters with the same name! You’ve mentioned before that when you are writing, the trajectory of the story or the characters will often surprise you. Were there any unexpected parts of Louisiana’s Way Home?